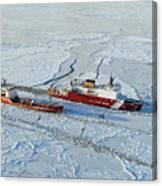 Uscg Healy Breaks Ice by Stocktrek Images - 10.000" x 7.125"
Uscg Healy Breaks Ice acrylic print by Stocktrek Images. Bring your artwork to life with the stylish lines and added depth of an acrylic print. Your image gets printed directly onto the back of a 1/4" thick sheet of clear acrylic. The high gloss of the acrylic sheet complements the rich colors of any image to produce stunning results. Two different mounting options are available, see below. 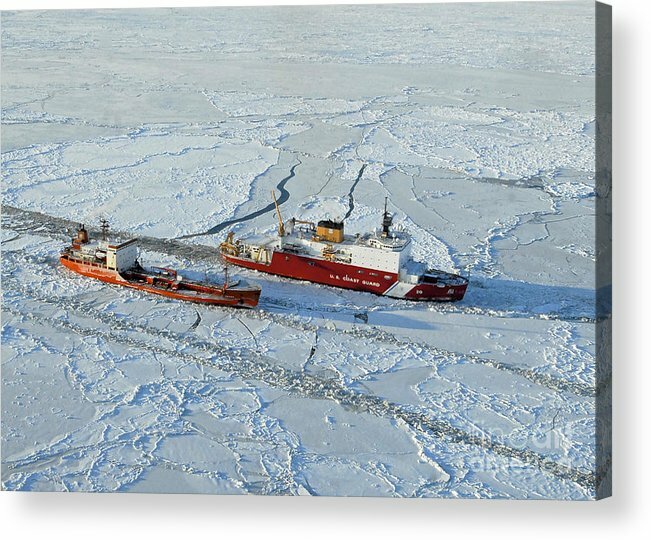 There are no comments for Uscg Healy Breaks Ice. Click here to post the first comment. January 6, 2012 - The USCGC Healy (WAGB-20) breaks ice around the Russian-flagged tanker Renda 250 miles south of Nome, Alaska. 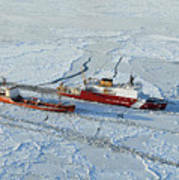 The Healy is the Coast Guard's only currently operating polar icebreaker.